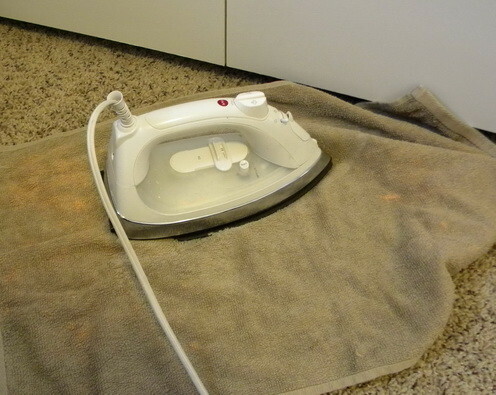 If you have an iron burn on your carpet, here is a fast and easy professional way to fix it yourself. You will not need any special tools to fix the burn. 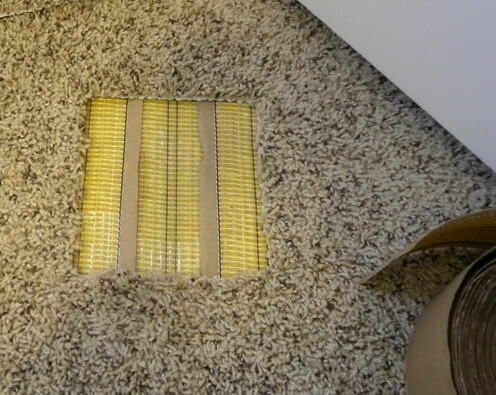 This burn repair method is guaranteed to work on any carpet. No matter how big the burn is, you will be able to fix it yourself in no time at all. Here is the burn in the carpet that was caused by an iron that was left turned on. NOTE: It is best to cut a piece of cardboard out a little bigger than the burn to use as a cutting template. First you will need to cut out the burned carpet with a razor knife. NOTE: Make sure you cut the burn out by cutting a perfect square (use a cardboard template). 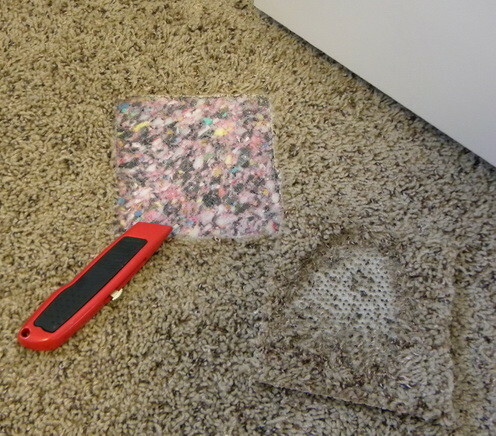 You will need to cut out the new “patch” of carpet using extra carpet or cut out a square in the closet. NOTE: The best place to get your patch carpet piece is at the back of your least used closet. 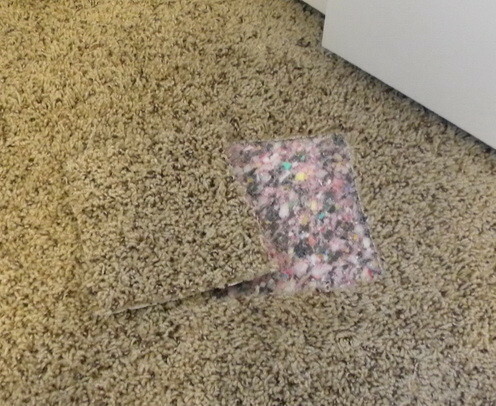 Once you have your new carpet “patch”, cut the adhesive carpet tape to fit evenly into the square. NOTE: Cut the carpet tape to fit perfectly into the square so the patch piece can stick securely. Once your patch is in place, if needed, put an iron (with towel) over repair to allow the patch to “stick”. NOTE: Only some types of carpet adhesive tape will need an iron to initiate the adhesive. 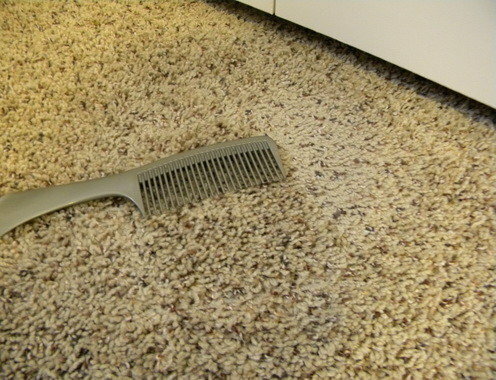 Once the patch is in place, take a comb and “brush” the carpet fibers to match the surrounding area. NOTE: Any type of brush can work to do this but a comb will have the best results. Here is the repaired carpet once combed and vacuumed looking great! 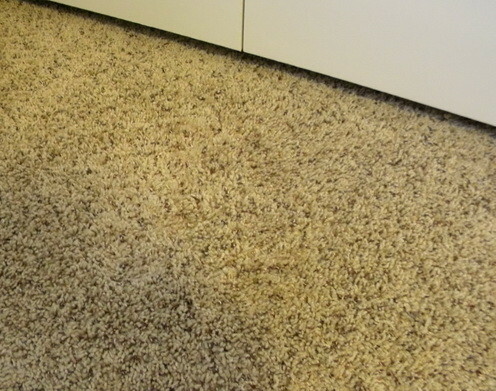 Your “patched carpet” should look absolutely perfect once finished. 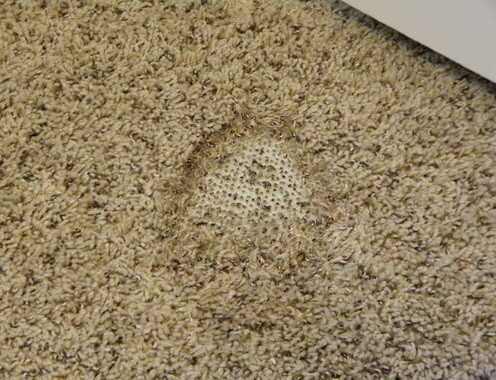 If you have a better or easier method for fixing a carpet burn caused by an iron, please leave a detailed content below.